At Midrive they’re disrupting the learn to drive industry with new technology. Did you know 53% of learners fail their first test? Of those who pass, 1 in 5 crash in the first 6 months. Midrive think this is unacceptable and their technology helps learners find top-rated instructors, so they can pass-first time and ultimately become safer drivers. They’re looking for an outgoing Junior business Development Associate to be their newest member of their Instructor growth team. You will be exposed to all aspects of the company and gain experience in outbound communications, account management and managing your own time and targets. If you want to be part of a thriving startup who have raised £7.5m to date and are continuing to grow rapidly, you can read this full job ad on our website! Print Social is an exciting venture startup, who provide a wide variety of services including garment printing, fine art editioning, experiential live print and an open-access facility. They’re a young, fast-growing online garment company who offer a pre-sale platform designed to empower creators by offering a sustainable method of selling T-shirts through campaigns with zero upfront costs. This is an exciting opportunity for a Creative Account and project Manager to join their team. They’re on the hunt for a driven and enthusiastic candidate who will be prepared to lead in growing the venture and building a team underneath them. 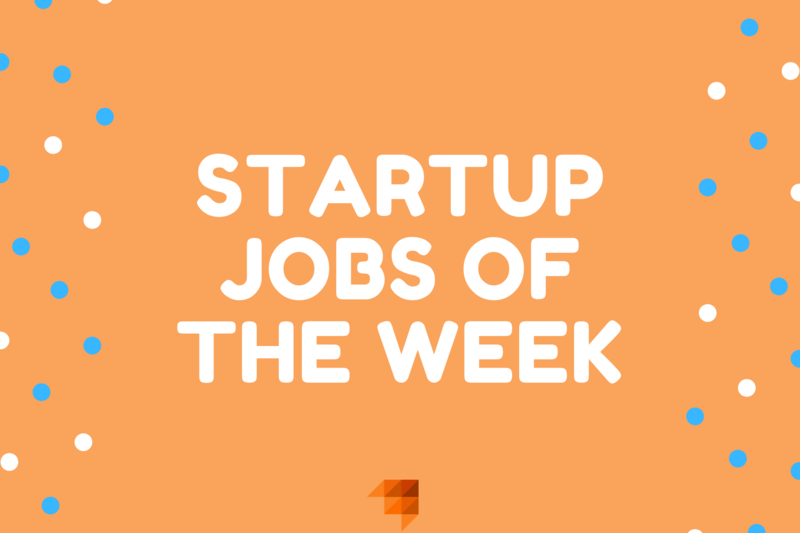 If you’re a highly driven individual with a drive for entrepreneurial thinking and excellent customer service skills and want to join an exciting startup, this role could definitely be worth exploring further. ihateironing makes busy people’s lives easier by removing the hassle from dry cleaning and laundry. They do this by finding brilliant people, creating superior processes, combined with the intelligent application of cutting-edge technology. They have an excellent opportunity for an enthusiastic and committed individual looking to work for a fast growing company to join as their Office and Admin Executive. At ihateironing you will have great responsibility from day one and a chance to redefine and improve their current processes. If you have a willingness to learn, you’re proactive and bring positive attitude to anything you do, this role sounds like it could be something for you to consider looking into! WeGift is a leading edge UK startup that delivers open value, real time digital gift cards, on demand. They’re backed by some of the world’s leading entrepreneurs, VC’s, and corporations, with over 120 brands live on their platform and have launched in 10 different territories, WeGift is revolutionising pay out services. They’re looking for a new Customer Support to join them on the journey of transforming how people send and spend money with a commitment to unlocking value. If you want to work in a fast paced and super dynamic environment, on a great product, with a very cool team, and experience the life of successful entrepreneurs, then apply for this job now! Carowow are aiming to create the best car-buying experience in the world! They take out the many issues people face throughout the process of their big financial decision of buying a car. They’re a driven, energetic startup with a team of 200+ based in London, Munich and Madrid. They are backed by some of Europe’s leading VCs and have raised over £48m in funding since launching in 2013. They’re looking for a marketing intern, which will be a 6-month fixed contract with the possibility of becoming permanent. They’re looking for someone to work with both their CRM and B2B teams to provide copywriting, analytical and logistical support. If you’re curious, motivated, and want to help Carwow change the future of car buying and have the chance to be at the start of something huge, then this role is sounds like it could be an exciting opportunity for you to explore! At Hired By Startups, we’re working with a rapidly growing startup in the travel industry hiring a B2C Sales Manager to join their team. If you’re passionate about travel and looking for a B2B Sales Manager role where you can define and execute an international growth strategy whilst rapidly scaling a sales team this sounds like it’s for you… Read more about this job on our job board. At Hired By Startups, we’re working with one of the fastest growing consumer-facing startups out there, hiring a Customer Experience Manager to join their team. If you’re looking for a role where you can apply your passion for Customer Experience whilst working in a rapidly growing startup with a brilliant culture, this is the one for you!